Although it’s unhealthy, stress is a normal part of every woman’s life. Doctors like to refer to stress as the “silent killer,” and it’s been linked to causing cardiovascular disease, high blood pressure, and many other health problems. For non-pregnant women, stress can cause their periods to be irregular, contributes to anxiety, poor appetite or overeating, fatigue, headaches, and other symptoms. When you’re pregnant, high levels of stress can have negative effects on your unborn baby. Experts aren’t exactly sure how much stress is too much during pregnancy. Routine stress – like being stuck in traffic or having deadlines at work – probably don’t harm your unborn baby. But long-lasting stress can cause pregnancy complications. According to the March of Dimes, there have been numerous studies that have linked high levels of stress in pregnancy to causing premature birth (babies born before 37 weeks) and low birthweight newborns. Babies who are born too small are at higher risk for health problems in the first few months of life. Emerging research has also suggested that high levels of stress in pregnancy can also affect the brain function and behavior of the developing baby. The same study also suggested that maternal stress might also lower the unborn baby’s IQ level. In addition, other research studies have found that higher levels of stress may increase a woman’s risk for stillbirth. Although researchers are not 100 percent sure how exactly stress causes these pregnancy complications, but they do agree that stress hormones play a role. Animal studies have shown that raised levels of stress hormones can decrease blood flow to the placenta, which cuts off the baby’s oxygen supply. This may explain why high levels of stress increase the risk of low birthweight babies and stillborns. In addition, stress triggers the release of a hormone called the corticotropin-releasing hormone, which causes the pregnant woman’s body to release prostaglandins – a chemical that triggers uterine contractions and start labor. It is also well-known that stress weakens your immune system. Because a woman’s immune system is already lowered in pregnancy – to prevent her body from attacking the baby growing inside her – stress can put a pregnant woman at even higher risk of uterine infections. This is a major contributor to preterm birth. If you are under high stress and pregnant, you may not experience any pregnancy complications at all. However, your baby can experience problems after birth. Some studies have linked high levels of stress in pregnancy to affecting the baby’s mental and emotional development later in life. Pregnancy stress can lead to your future child to have difficulty learning, increased anxiety and fearfulness, and difficulty paying attention. Although experts aren’t sure how pregnancy stress causes these problems, some researchers believe that stress hormones in a pregnant woman’s blood cross the placenta and affect the developing baby’s brain. Because stress can have so many negative consequences in pregnancy, you need to find ways to control your stress level. Exercise – One of the best ways to relief all the stress and anxiety in your life is by exercising regularly. For low-risk pregnant women, doctors recommend that you engage in moderate exercise on most days of the week. This can include a healthy swim or a brisk walk. Exercising can also help alleviate many of your aches and pains, and it helps you have an easier labor and delivery. Try Relaxation Exercises – If you are feeling quite overwhelmed and stressed out, try some relaxation exercises. Some women enjoy yoga, stretching, meditation, and deep breathing. All of these activities will help you feel calmer and less stressed in pregnancy. Eat a Healthy Diet – Try to eat a healthy, balanced diet. Pregnant women are better able to handle the stresses of life when she is healthy and fit. In addition, healthy eating in pregnancy also helps you gain the recommended amount of weight, which also helps decrease your pregnancy complications. Stay Away from Stressful Situations – This is an obvious tip, but try to avoid stressful situations and people who stress you out. Although this is impossible to achieve all the time, getting away from stressful situations is one of the best ways to manage your stress level. Vent to a Friend – Whenever you are feeling quite stressed, talk to someone about how you’re feeling. Venting your frustrations or feelings to your partner, best friend, or loved one can often help you feel better. Get Therapy – If you are having a really hard time handling all the stress in your life, you may want to seek professional help. You may want to see a therapist or a counselor, who can help listen to your problems and give you helpful tips on how to cope with your stress level. 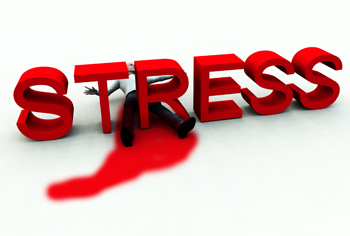 Stress may be a normal part of life, but you don’t want to let it overwhelm you. Accept the reality that you’re stressed out and figure out what situations are causing your stress. Finally, it’s important to find ways to reduce your stress! Your tips to reduce pregnancy stress are much useful and practical. You have done a great job for pregnant women and their infants.